WE have all come to appreciate and understand Marcelo Bielsa’s eccentricities since he arrived in England as Leeds United head coach. He is an eccentric fellow and goes about things in a different way to what people have seen in the Championship before. 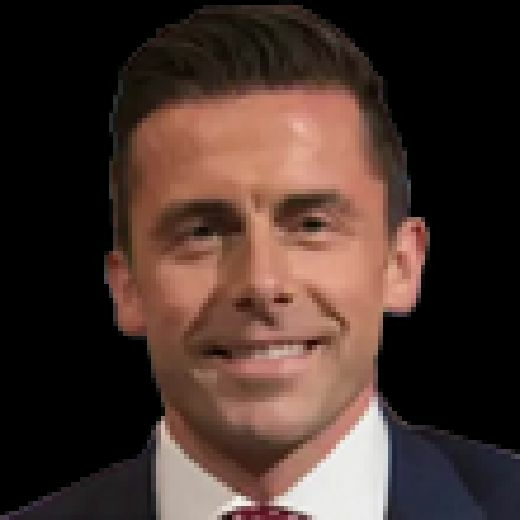 But the whole issue of ‘Spygate’ and admitting that he sent someone to spy on Derby County’s training session is one that divides opinion in terms of how seriously people take it and you could see by Derby boss Frank Lampard’s reaction that he took it extremely seriously. It seemed a mixture of disappointment and hurt from Frank that something like this could happen. I think Frank was right to say that it disrupted their preparation as teams at this level need every single minute of every single training session to be used productively. 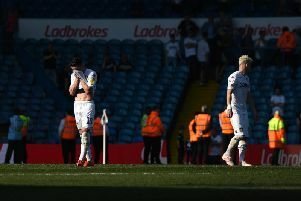 You could tell from their performance that it really rocked them and be it advertently or inadvertently or consciously or subconsciously, Leeds seemed to thrive on what had happened and on how their manager had dealt with it. Leeds fans loved it and it’s probably ramped their love for Bielsa up another level now because of how he went about it. But I can totally see why Derby would be angry about it and you can imagine how Derby owner Mel Morris will feel if Derby miss out on the play-offs or automatic promotion by a point or three points. This is a multi-million pound industry, Mel has put shed loads into Derby and the money to get into the Premier League is ginormous. So if Derby feel in any way that their preparations have been disrupted then you can see why they would be angry. True, Derby didn’t play very well and Leeds were very, very good but subconsciously the build up might have effected the Derby players emotionally so that they couldn’t approach the game in the right way and perform in the right way. It’s all ifs, buts and maybes but it’s the tiny little breaks of the ball, rubs of the green and tiny little instances in the season that can make a difference. It’s just really strange to try and see where all of this fits and there’s almost a farcical/cartoonist element to it. But the FA are obviously looking at it and it will be a tough one because there is no precedent to it so how do they deal with it? It’s a grey area and everyone’s interpretation of it is different. In terms of a punishment, in terms of sportsmanship and professional etiquette, I think a points deduction would be extremely harsh. The minus 15 one dealt to Leeds in 2007 was severe but it fitted in with the meltdown of a football club which was on its knees and almost went out of existence. It was harsh but I don’t really know what else they could have done to show them the severity and the gravity of what the actions of others who had been there in the past had reduced the club to. But when it comes down to being a cultural decision, we even heard Spurs boss Mauricio Pochettino talk about ‘Spygate’ on Friday and shrug his shoulders and admit it went on in Argentina. When a discussion becomes cultural and ethical, that comes away from what the actual laws of the game are. A points deduction would be the most severe way of dealing with it and Leeds would surely just be hoping for a fine and a slap on the wrist. You fall on one of two sides with this as some fans might look at the situation as ‘Spygate’ being quite jocular and a bit funny. Or you could be saying it’s got no place in the game, akin to cheating and diving and it’s got no place in English football because we can be quite moralistic saying we don’t do it like that so you don’t come over here and do it like that. It’s a very intriguing one for the FA to sort out so it will be all eyes on them and as much as they are the governing body, we have seen them produce knee-jerk reactions in the past such as with Sam Allardyce losing his England job. There was a public demand for something there which for that week was moral outrage and the week after it was already a distant memory. The FA have to put this into perspective, they have got to approach it with some kind of balance and make sure that the punishment is relative but also not over the top. If you are a Leeds fan you are probably hoping for a fine, maybe even a Bielsa touchline ban but please for the love of God not a points deduction because points are so very precious and they have been hard earned so far this season. It has to be said that Leeds were impressive against Derby and it was a blatant penalty not given in the first minute for a foul on Gjanni Alioski. That might have sent them on their way to an even more impressive result. Leeds have now got a decent buffer at the top but it only stays decent if you manage to keep it at that and that’s Leeds’ greatest challenge from now until the end of the season. They have done so well thus far and it’s been a season of high points and intrigue, curiosity and questions answered and of upturn and uplift of the prolonged consistency of the team. It’s now that you find out whether that has got substance and foundation to it, whether it’s been six glorious months that will live in the memory or a glorious season that will live forever in the memory because it gets Leeds back to the Premier League.